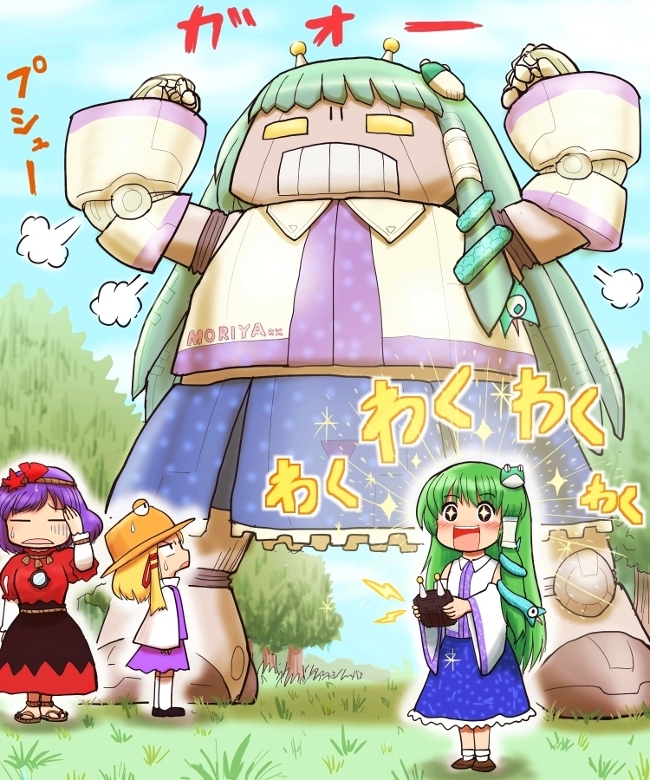 Sanae and her giant robot fetish. Nitori may want to hide for the next few months. The kappas must be working too hard.